. إن الخدمات الممتازة وحسن الضيافة العالي في فندق هيريتدج تجعل إقامتك تجربة لا تنسى. يقدم هذا الفندق العديد من الخدمات الكفيلة بإرضاء أكثر الضيوف تطلباً. تنعكس أجواء فندق هيريتدج في غرف الضيوف.تلفزيون بشاشة مسطحة, سجاد, بياضات, صوفا, مناشف هي بعض الميزات الموجود في العديد من الغرف. يقدم الفندق خدمات رائعة كمثل حوض استحمام ساخن, مركز للياقة البدنية, ساونا, مسار جولف - ضمن 3 كم, حمام سباحة خارجي لمساعدتك على الاسترخاء بعد نهار طويل من النشاط والتجوال في المدينة. يحظى فندق فندق هيريتدج بموقع ممتاز وخدمات يصعب منافستها. يوفر الفندق خدمة صف السيارات فقط، لذا يُرجى الاتصال بالفندق مباشرةً للحصول على مزيد من التفاصيل حول الخدمة. يتم صف السيارات في مكان آمن لصف السيارات تحت الأرض في العقار، ويمكن الوصول إليه من قبل الحارس عدة مرات حسب رغبة العميل. 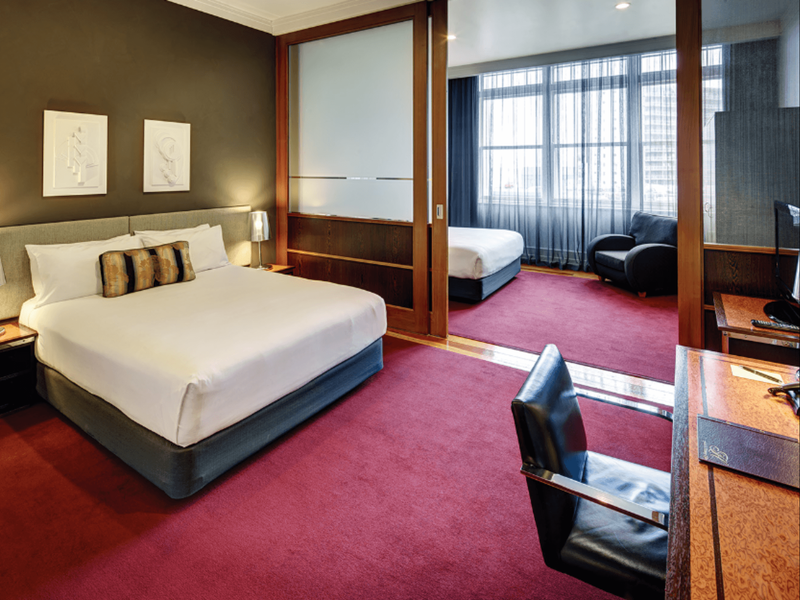 I chose the hotel because it is in the heart of the city, it is obviously very convenient if you fond of shopping. However, it is a hotel, just a room without much space. Even we booked a flexible family room, there were two queen beds, no dining room or even a table with four chairs to let our family sitting and having dinner together. Also, I reserved two rooms actually and requested in advance to have both rooms next to each other, unluckily they could not make this arrangement. If I knew they could not make it, I would choose some rooms that have dining room instead. Still have some good points, there is a pool on the rooftop, very nice sitting there. The bed is softy and comfortable. Unfortunately the hotel was disappointing.The room was small and stuffy,air con not efficient enough.Staff were very pleasant but as one previously in the business ,they need upgrading in their training of service and efficiency.Mainly little things were noted not quite done correctly.eg excess linen was left in our room dumped on the kitchen appliances.Obviously meant to be collected but actually never was throughout our stay!Agoda also have misled with advertising as photos of this hotel were not accurate of where our room was located but of the newer part of the hotel.Pool is fabulous and a great asset. 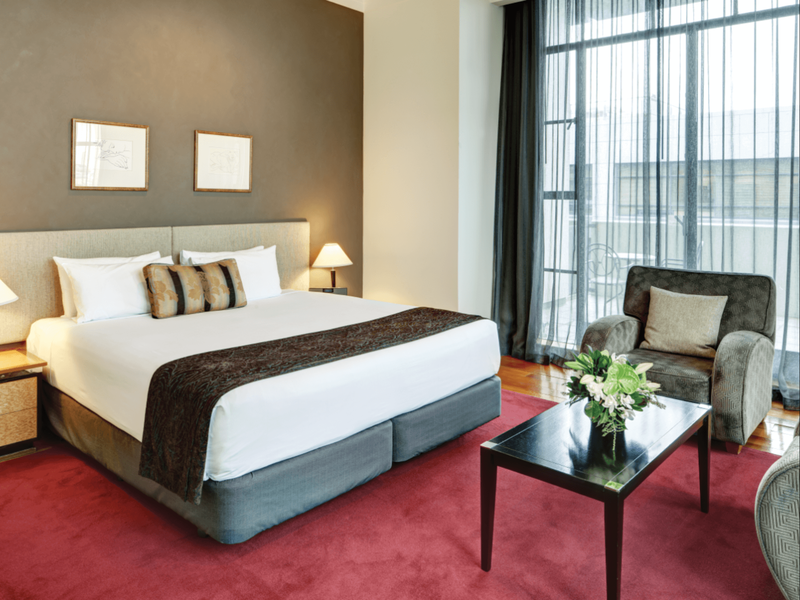 Heritage is conveniently located in the city and we were very pleased at how spacious and clean the room is. 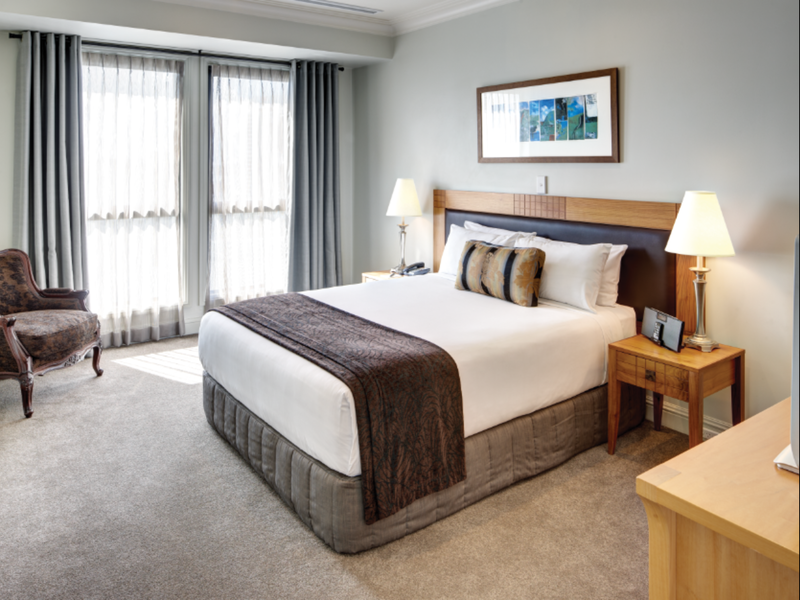 It is within walking distance from Sky City as well as Queen St shopping area. Valet parking available at $45 per night and while we find it pricy, it seems to be the norm in the city. The Heritage, as the name suggests, is well established but that doesn’t mean ‘old.’ It’s been exceptionally well preserved and feels like the comfort of home. The beds made me want to stay longer and the food at the restaurant was to die for! The service is so far above everyone else it’s atronomically awesome! And the location is perfectly placed-close enough to everything without being in the fray. I love The Heritage and I know you will too. Hotel is located very near to the shopping district but away from all the noise from pubs and clubs. An added advantage is that the Skybus stops and departs right in front of the hotel so it is really convenenient!! Will consider staying here again in the future. The Heritage has to be one of the best hotels we have ever stayed anywhere in the world. The best bed we have ever slept in and the pillows sheer luxury, the best value for money if you search for a deal.. we had a suite for the cost of a deluxe room. The reception staff and housekeeping could not be anymore helpful if they tried. a wonderful experience all round. We give them 5 stars. 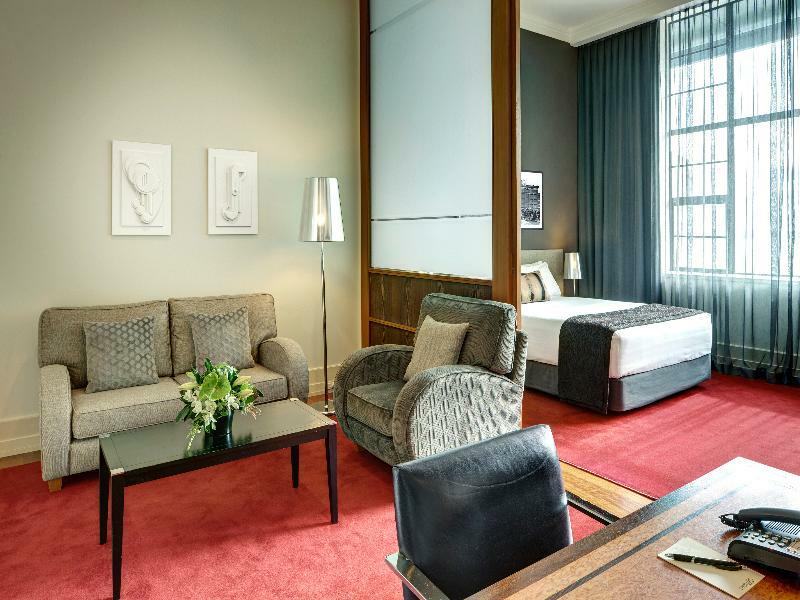 It was not until we checked in when we discovered that the hotel building itself used to be a city icon for 80 years before it was converted the hotel as it is today. The interior design was old or even a bit antique, but yet beautiful and well preserved. My husband and I enjoyed staying there very much, although very briefly. The reception boy was probably the most delighting receptionist we have come across during the whole NZ trip, who immediately light us up after a few second we stepped into the lobby. The restaurant was very decent as well, with wonderful staff and food. All in all, we liked the hotel a lot and would recommend it to family/friends if they plan to visit Auckland. location was good. Parking in auckland is terrible though. 35 dollar vallet parking is any time better. walking distance to queen street. staff at reception was very helpfull. more tv channels would have been better (especially for kids). we stayed two nights in this hotel and were satisfied. breakfast was terrible though. better to book no break fast room and go out to have breakfast in a decent cafe. 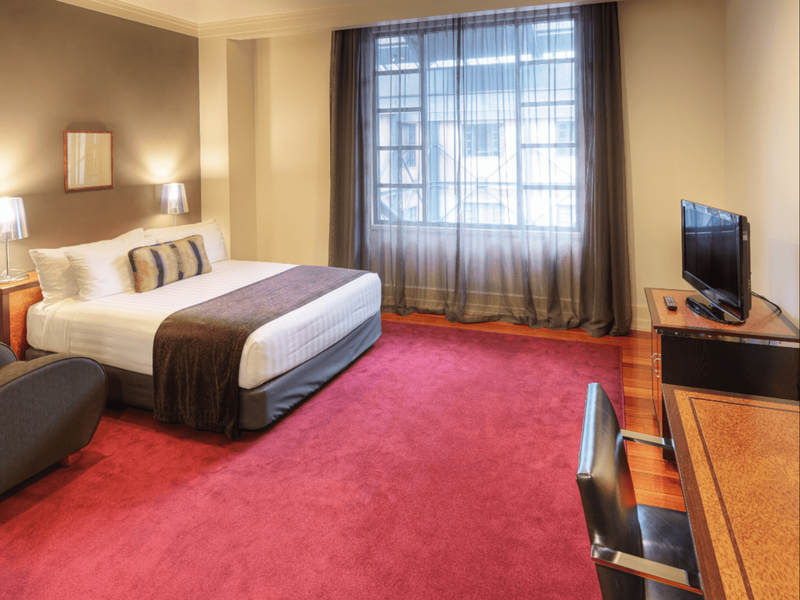 We stay for three nights at Heritage, just two min walk to Sky Tower. unfortunately my wife's hair got burnt by their hair dryer which is totally unacceptable, as it is almost broken and the lid at the back of the fan is missing. We are surprised at first sight of the room.Very broad and there were many rooms. Our room was on the 8th floor and had a beautiful scenery. We were able to see astonishing nice sea and town scene. We enjoyed NZ's last night in the comfortable room. Great stay but disappointed about the extreme price of internet connection ! The hotel add says the wifi is free. Indeed it is free, but only for the first 500 Mb ( 3 minutes youtube video). After you have to pay 5 dollars for another 500 Mb... It's extremely expensive, and not in accordance with a four star hotel. I'll consider booking another hotel with free wifi for my future travel to Auckland. Location was perfect for our stay. 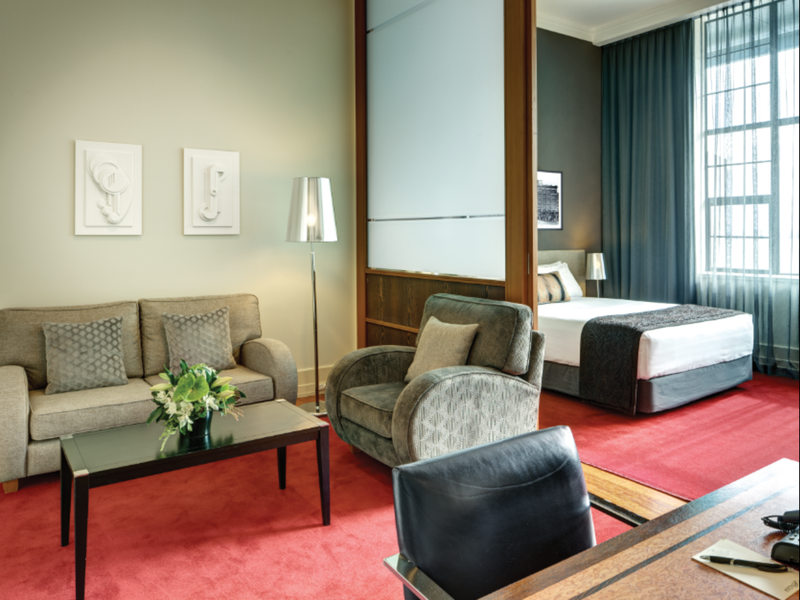 The rooms were extremely spacious and the facilities excellent. The breakfast selection was fantastic. From the minute we arrived the staff could not be more helpful. We arrived hours before normal check-in time, but the hotel got our room ready within an hour of us arriving and we were not disappointed when we got to the room. 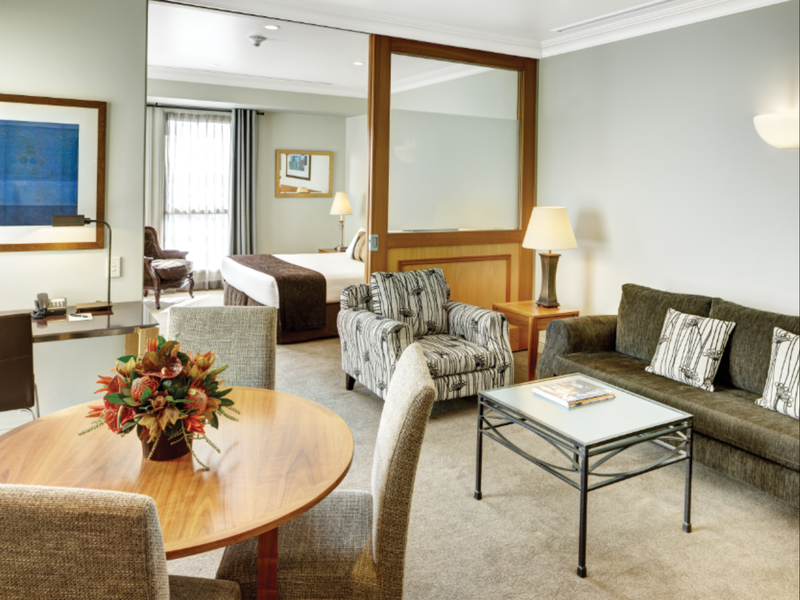 They are extremely spacious, and the kitchenette and washer/dryer are a great extra for travellers. I also have to say that the beds are extremely comfortable and we definately got a good nights sleep. The breakfast menu was superb and very innovative and we really enjoyed trying some of the "healthier" options. The restaurant staff were very friendly and nothing was too much trouble. We would certain stay at the Heritage again if we go back to Auckland. From the moment I arrived and had my car valet parked to the moment I left, being farewelled by the wonderful manager Neil, I felt like a guest should in this lovely, old fashioned style hotel. Neil was so wonderfully helpful, and found me a room with a bath, as per my tired request. The food is lovely, with a healthy but not preachy, vegan angle. The staff at the magnificent breakfast buffet were fabulously friendly. The Heritage is the ONLY place I would consider staying at, should I ever return to Auckland. 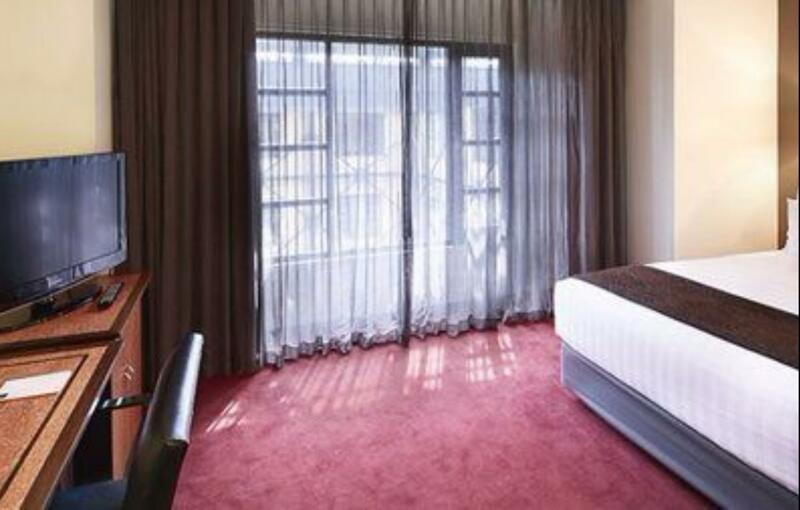 Hotel is in the center of CBD area, the hotel staff are also very friendly and helpful. It was a wonderful stay for us.